In March 2019, the fifth edition of PM Summit, Ireland’s most inclusive conference for project, programme and portfolio management professionals, revealed the results of their annual survey, this year focusing on the impact of remote working. 331 project management professionals in Ireland from a broad range of sectors participated in the 2019 edition of the survery, which was carried out with the assistance of Pan Research in January 2019 after a call on LinkedIn requesting survey participants. All responses were anonymous, and came from professionals of all levels of experience, from industry juniors right up to the most senior people in leading roles. Our 5th annual PM Summit was held on 13th March 2019 at The Convention Centre Dublin, take a look back with us on some of the key features of the day. Dublin, 22nd February 2019 – PM Summit, Ireland’s premier conference for project and programme managers, today announces the findings of a new study which reveals that almost two thirds (64%) of project managers with access to remote working said it leads to longer working hours. In fact, 32% report that they work between 5 and 15 extra hours each week – entirely because of remote working, which equates to working a 7-day week for some and a 6-day week for most. The survey, carried out with the assistance of Pan Research, surveyed a representative sample of 331 of Ireland’s 50,000+ project managers. It found that 41% of project managers are expected to respond to emails outside work hours. For those working in the architecture, engineering and construction sectors, that rises to 48%. Just 25% in the IT sector, meanwhile, say they are expected to respond to emails when off duty. PM Summit’s research found that responding to out-of-hours emails is impacting project managers’ work/life balance. Almost half (49%) of those surveyed said it has a negative effect on their work/life balance, increasing to 56% for those working in the architecture, engineering and construction sectors. Dublin, 8 February 2019 – PM Summit, Ireland’s premier conference for project and programme managers, today announces the findings of a new study which reveals that 42% of project managers believe that they have less control of projects when their project team is working remotely. Only 10% of project management professionals believe that remote working gives them more control of projects, falling to 8% among IT professionals. Around half (52%) of respondents believe that remote working increases project success rates, but a surprisingly high 19% of respondents believe that remote working reduces project success rates. This is even more pronounced among IT project managers, with just over a fifth (21%) of project managers believing that remote working may hinder project success. The majority (72%) of all project management professionals believe that remote working increases efficiency, falling to 69% for project managers working in IT roles. The study, carried out with the assistance of Pan Research, surveyed a representative 331 Irish person sample of Ireland’s 50,000+ project managers. These come from a broad range of sectors including IT, Finance, Pharma, Architecture, Engineering and Construction. Join us at the 5th annual PM Summit on 13th March 2019 in The Convention Centre Dublin. This year’s 4 Keynotes are David McWilliams, Sinead Kane, Niamh Shaw and Raymond Poole. For more information on 2019 speakers click HERE. In June 2018, the fourth edition of PM Summit, Ireland’s most inclusive conference for project, programme and portfolio management professionals, revealed the results of their annual survey. 2018’s edition involved the participation of 437 project management professionals in Ireland from a broad range of sectors and was carried out with the assistance of Pan Research. All responses were anonymous, spanning absolute beginners to seasoned veterans. Participants were asked to report on their ten most recent projects. Displaying a very clear gender split within the area of project management, a staggering 76% of participants were male, with the majority working in medium (50-500 employees) or extra-large companies (5000+ employees). 45% of partipants come from the IT and AEC (architecture, engineering and construction) sectors, with finance, operations & logistics, manufacturing and production making the rest. PM Summit 2018 Interview with Lord David Puttnam: Lights, Camera, Action - Project Management! Lord Puttnam addressed the 2018 PM Summit on how to project manage within the creative industries. This Keynote was delivered through an on stage intimate interview with Lord Puttnam and Raymond Poole, CEO of PM Summit. It explored how even creative industries such as the movie industry etc. have to manage their productions against the same constraints as all other projects, namely Time, Resources and Costs. It was an informative session opening our eyes beyond our given sectors. We organised for a short promotional video to be recorded on the day of PM Summit 2018 (17th July at The Convention Centre Dublin, Ireland). It gives you an idea of what our PM Summit events entails. Dublin, 5/9 July 2018 –PM Summit, Ireland’s most diverse conference for project, programme and portfolio management professionals, today announces the findings of a new study which reveals that 40% of Ireland’s 52,000 project managers have suffered from prolonged stress due to their work. The study involved 407 project management professionals in Ireland from a broad range of sectors and was carried out with the assistance of Pan Research. Results reveal that 83% of respondents have had no formal training in how to manage mental health issues, including stress, within their project teams. People in IT roles suffer most from stress, with 44% reporting that they have suffered from prolonged work stress, followed by people in the architectural, engineering and construction field where 39% report this. Conversely, the stress levels of project managers in operations and logistics were low, with only 5% revealing that they have suffered prolonged stress. Gavin McLoughlin, Breakfast Business Show host on Newstalk, interviewed Raymond Poole, CEO PM Summit in the context of the survey press release that failed projects are costing Irish companies on average €580,000. The item was led by the survey results, including the costs to Irish businesses of failed projects, how this can be avoided and advice for companies scoping new projects. Dublin, 25/28 June 2018 – PM Summit, Ireland’s most diverse conference for project, programme and portfolio management professionals, today announces the results of a new survey which reveals that failed projects cost Irish companies on average €580,000. The research, which involved 407 project management professionals in Ireland from a broad range of sectors and was carried out with the assistance of Pan Research, also found that almost a fifth (19%) of the recent projects that Irish organisations have undertaken have failed. Too many scope changes, communication and organisational problems, and poorly defined objectives were cited as the most common causes of failure while the most costly reasons were lack of involvement of all team members in project decisions and poor resource planning. It therefore comes as no surprise that two out of every three companies (68%) are planning to spend more on project management training and education. In fact, organisations are spending on average 16% more in this area this year compared to last. Dublin, 15th May 2018 – PM Summit, Ireland’s most diverse conference for project, program and portfolio management professionals, will take place in the Convention Centre, Dublin, on Tuesday, 17th July. The conference is open to current practitioners and aspiring project managers. A record 350 delegates are expected to attend this year and the summit will feature three keynote speakers and 15 presentations across three separate tracks. 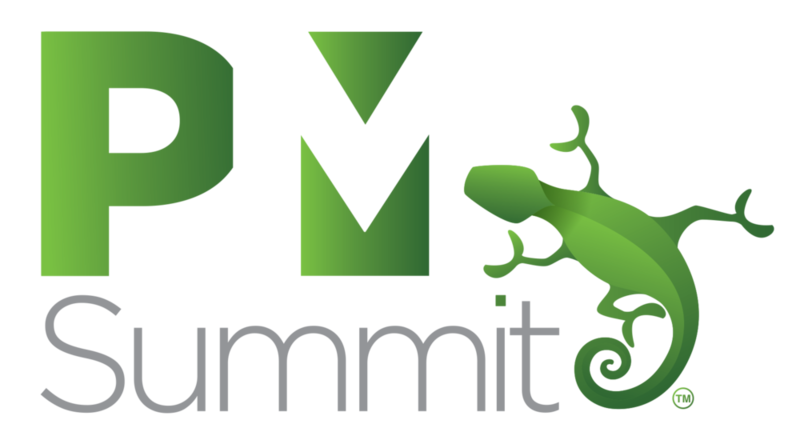 Now in its fourth consecutive year, the PM Summit aims to attract a diverse group of project management professionals, creating a forum for the transfer of knowledge and exploration of new ideas. Unlike other project management events, the PM Summit caters to all sectors of industry, from engineering to pharmaceutical, from government bodies to IT and beyond, and is not aligned with any one institution, professional body or methodology. The tagline being inclusivity not exclusivity. Check out our YouTube Playlist for this year's event where some of our speakers have provided you with further information about their talk they will be presenting at PM Summit 2018 on 17th July at The Convention Centre, Dublin. Below is a list of the speakers included in the playlist, click any of their names to be brought to their presentation overview. Cristiane Pitzer, Paddy Power Betfair: And when the Team is Not Collocated? Can it be Agile? In 2016, Raymond Poole, CEO & Founder of PM Summit conducted an on-stage interview with Peter Power, Executive Director at UNICEF Ireland at the PM Summit's annual conference. The purpose of this interview was to build awareness amongst project management professionals and agile practitioners to the diversity of projects by focusing on an organisation like UNICEF. The objective was to challenge the audience to think outside their comfort zone and see how they could apply project management processes and knowledge areas to a crisis managed environment. We received an overwhelming response to the initial interview that we decided to record the interview at UNICEF Ireland office and publish it to our YouTube channel to allow a wider audience experience the powerful message received. Check out this YouTube Playlist of our PM Summit 2017 Keynote Speakers providing you with further information on their talk that they presented in 2017. Stephen Carver, Cranfield University School of Management: Complexity - Fear of Flying? Registered No. 3521452VH ©2019 PM Summit Ltd.